This beautiful 37 Nordic Tug is all set and ready to make your 2019 cruising dreams come true. 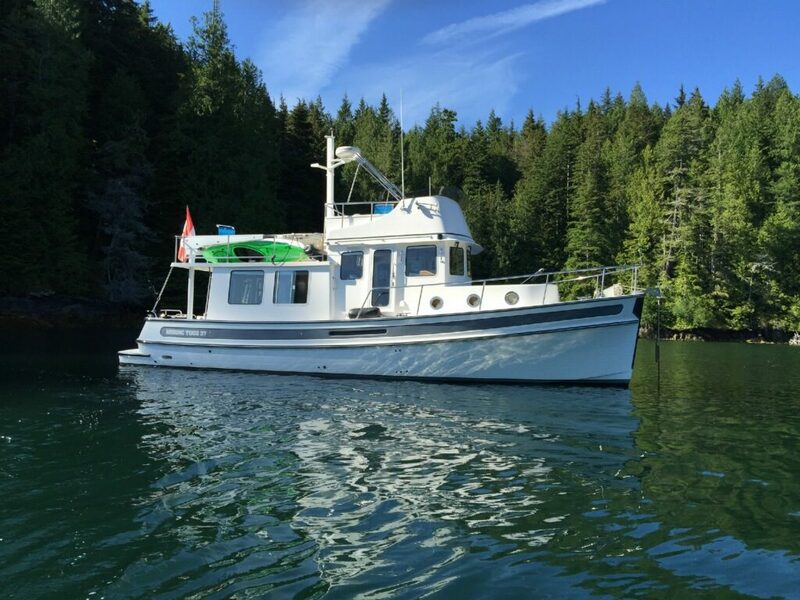 Fully outfitted with many extras, this boat is ideal for a cruising couple to enjoy all 4 seasons out on the water. Enjoy the spectacular view lounging on the flybridge on warm summer evenings at anchor. And extend your season relaxing in the open, bright salon, and the great, true pilothouse lower helm, as the weather gets cooler. This single stateroom model affords more comfort and space for owners who enjoy extended cruising. Built to the highest standards in the industry, with an unmatched design for comfort, safety and efficiency, this 37 will allow you to truly enjoy your time out on the water. Be sure to check out the full specs to see just how well equipped this boat is. Located in Anacortes WA. $329,000. Posted in UncategorizedLeave a Comment on Great Price! I have worked for over a decade in Anacortes as a marine electrician on yachts. While I have enjoyed brokerage yacht sales I feel it’s time to go back to my work as a marine electrician. As before my specialties are still: Charging systems, Inverters, Shore Power (including meeting the new ELCI standard) Lighting and other electrical projects my customers dream up. As well as being certified in marine electrical by ABYC I also have my marine corrosion certification. If you think that you are having a problem with zinc usage or possible damage to your boat from stray current I can get to the bottom of the problem and find a solution. As in the past I work closely with local marina managers and divers to solve stray current issues. Also if you are thinking of buying a boat and would like a little more in depth evaluation of the boats electrical system than the typical survey offers, give me a call. If you still have your boat listed with me at Nordic Yachts Northwest don’t worry. The office is still fully staffed with experienced brokers 6 days a week. And I will personally still be watching over your listing and making sure that your boat is well cared for and presented in the best possible way to get it sold. I’m not going anywhere just shifting gears back to the work I love.